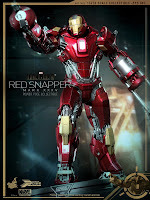 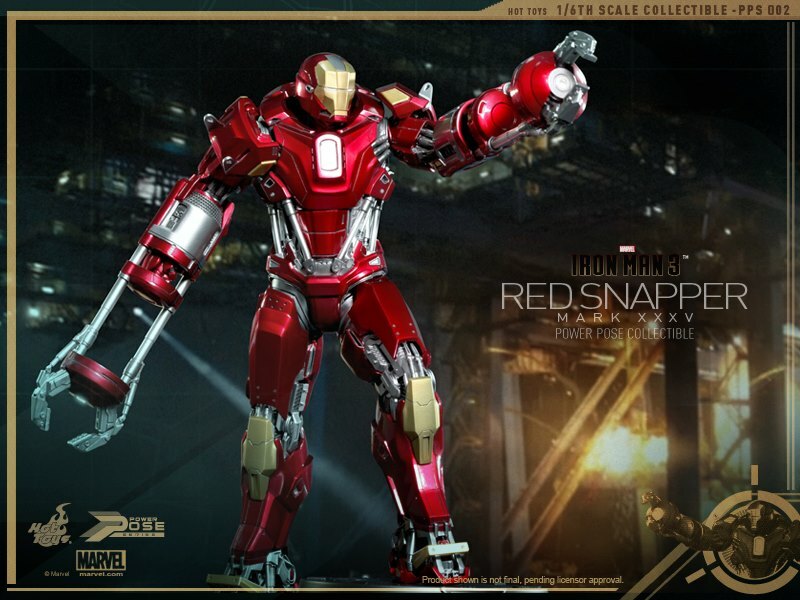 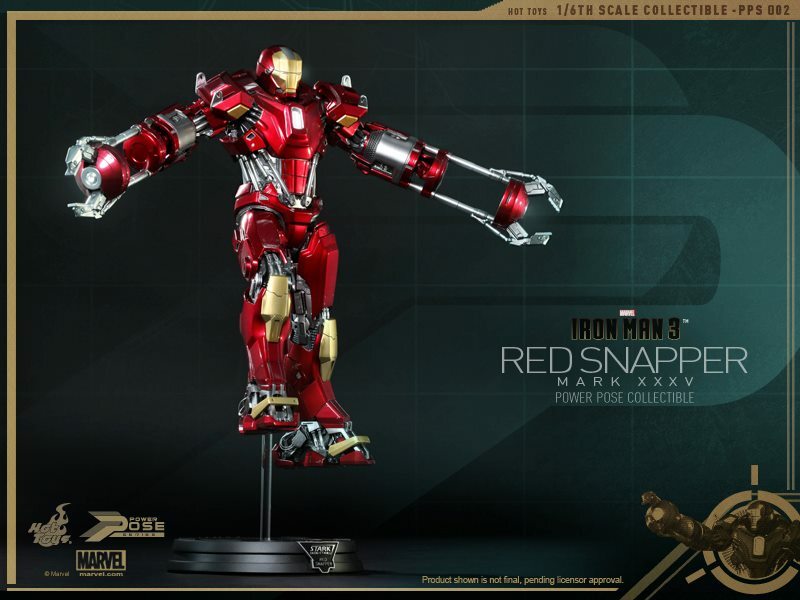 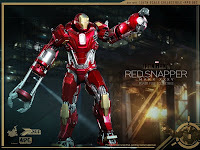 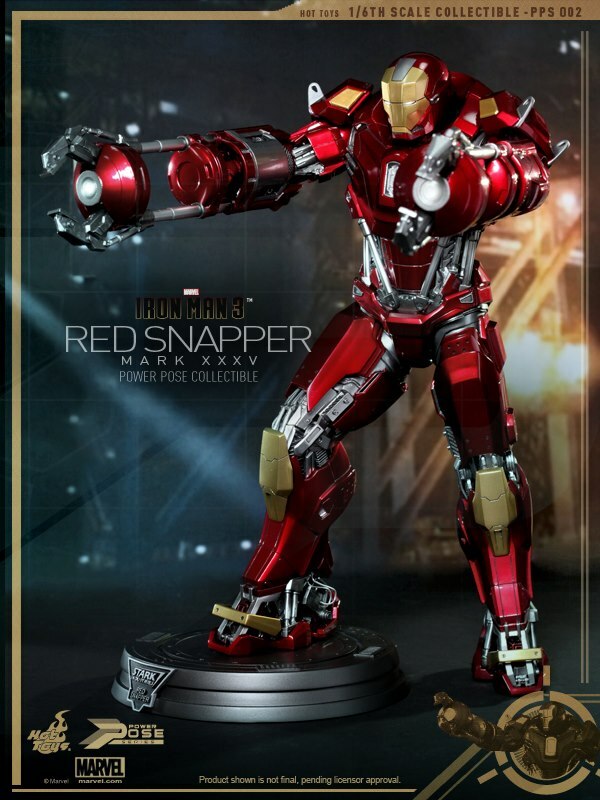 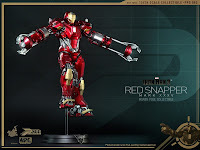 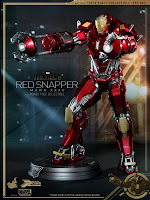 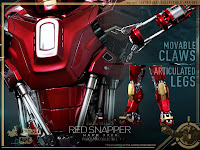 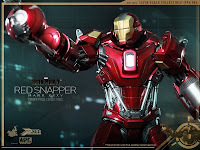 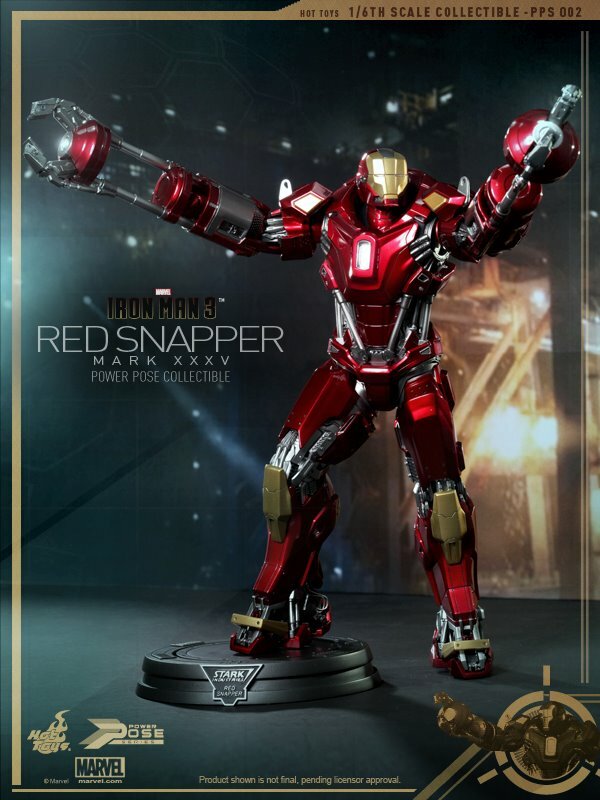 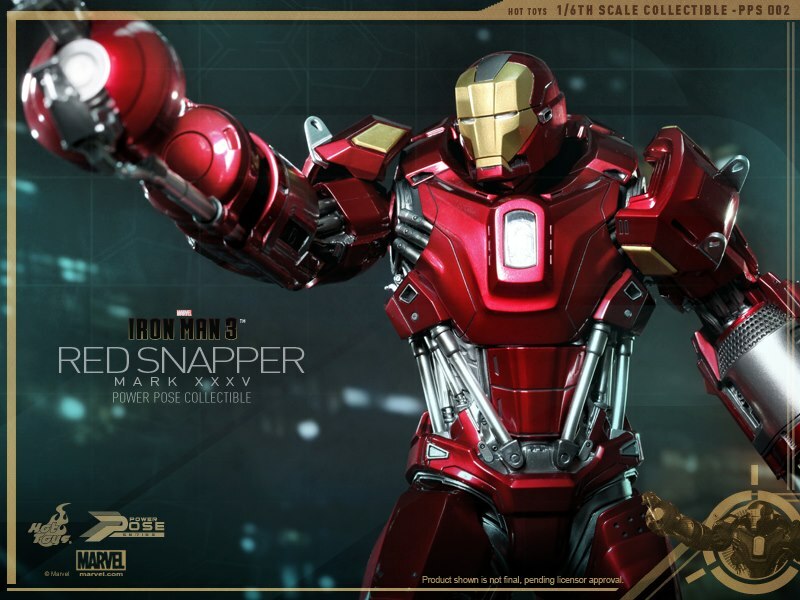 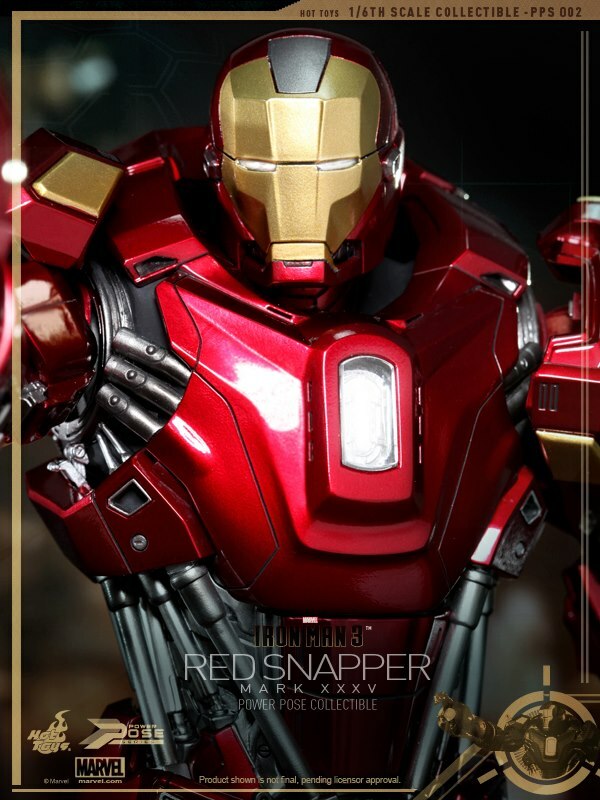 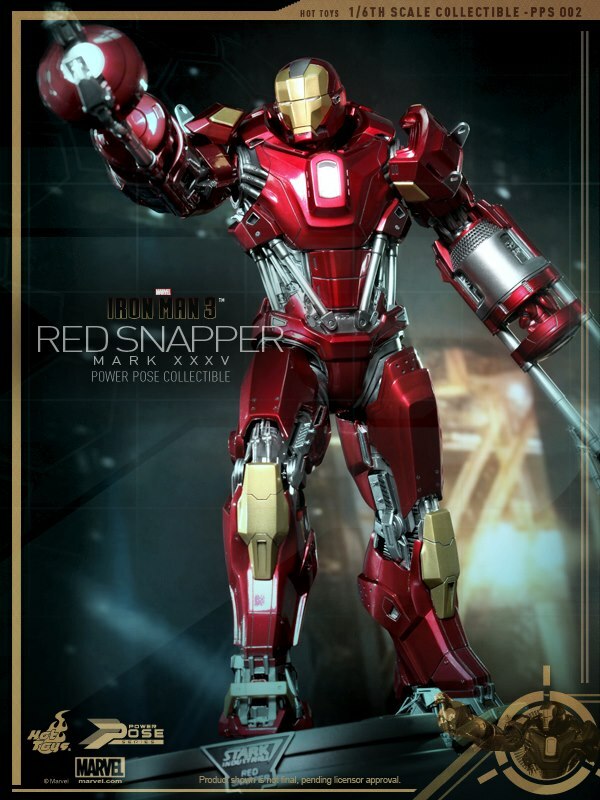 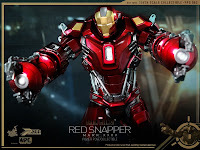 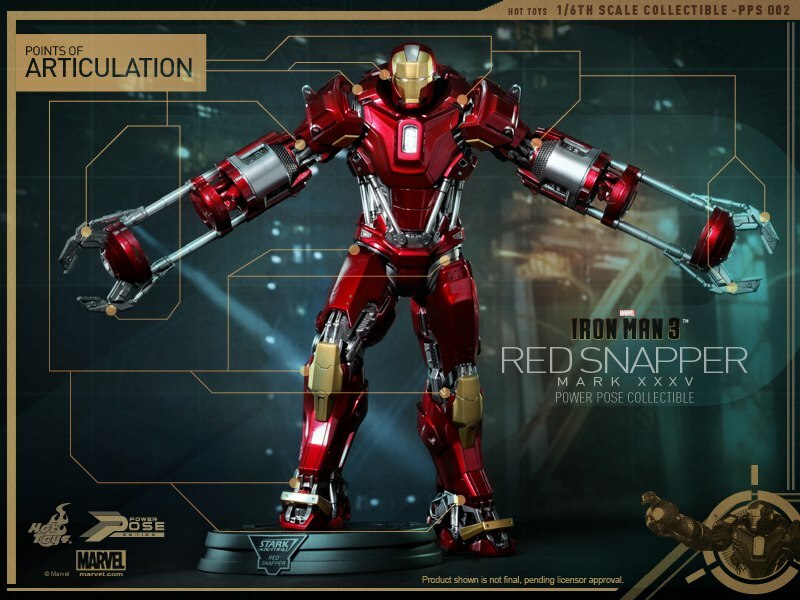 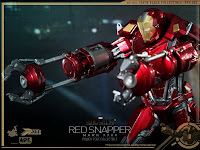 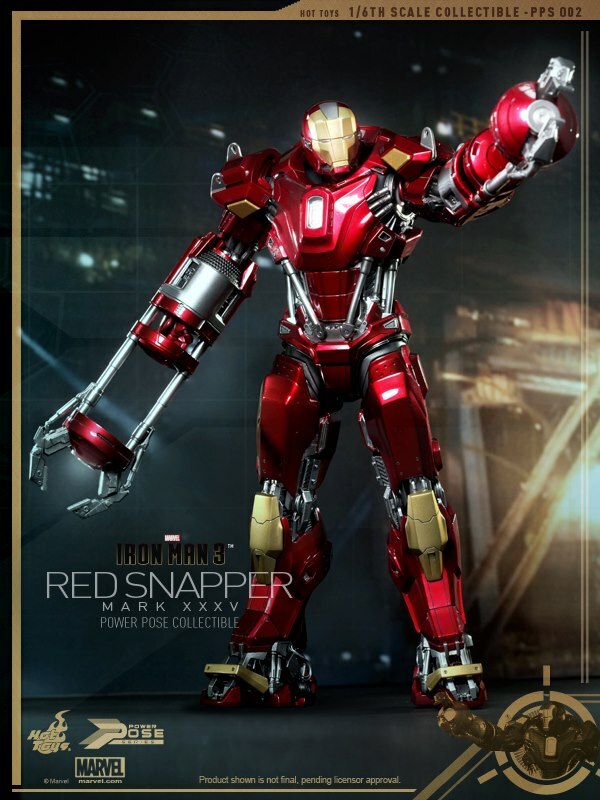 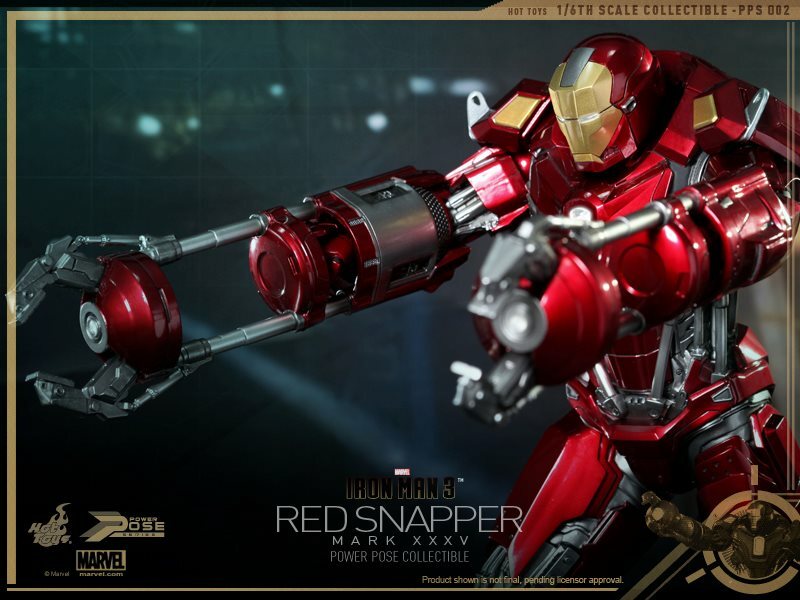 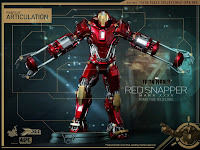 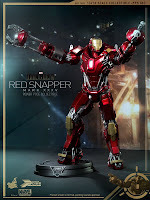 Idle Hands: Iron Man Mark XXXV: The "Red Snapper"
Marvel Studios’ Iron Man 3 is hitting the theatres this week! 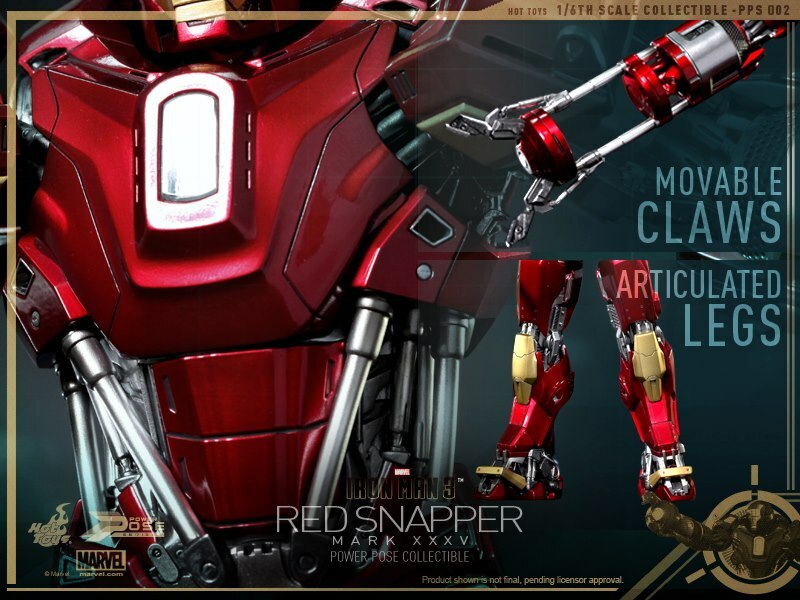 As you have probably seen from the trailer, a multitude of new suits will be introduced in the movie. 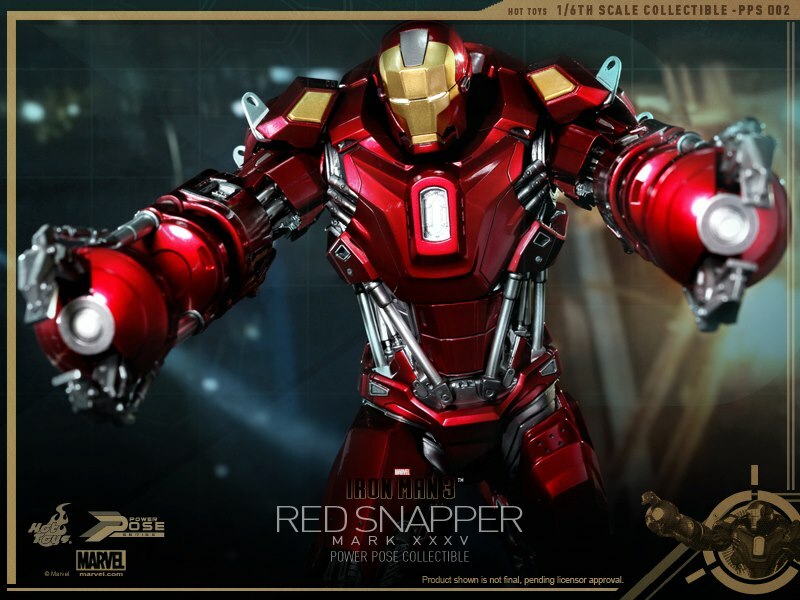 Today, we are excited to present one of the brand new armors from our Power Pose Series (PPS) – the 1/6th scale Red Snapper Collectible Figurine, the disaster rescue suit Mark XXXV with an extended arm-length and movable claw-like hands which can perform movie-accurate iconic poses and twists very closed to that in the movie, with LED light-up functions and figure stand with Red Snapper and the Stark Industries nameplate. 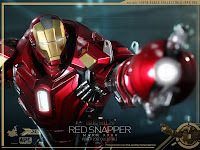 Collect the Power Pose Series together with the Movie Masterpiece Series and Diorama Series in 1/6th scale as some of the parts are compatible with each other! 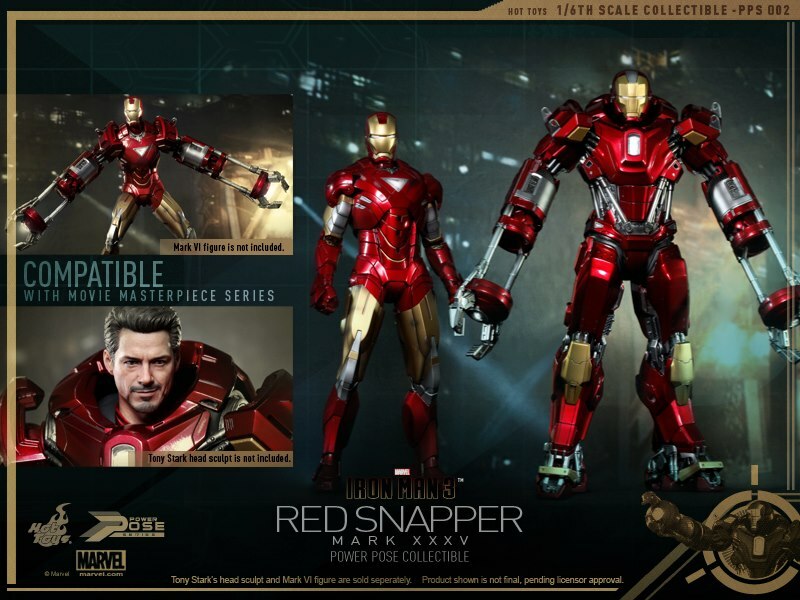 Click the banner to check out Hot Toys Iron Man 3 Tony Stark Figure!